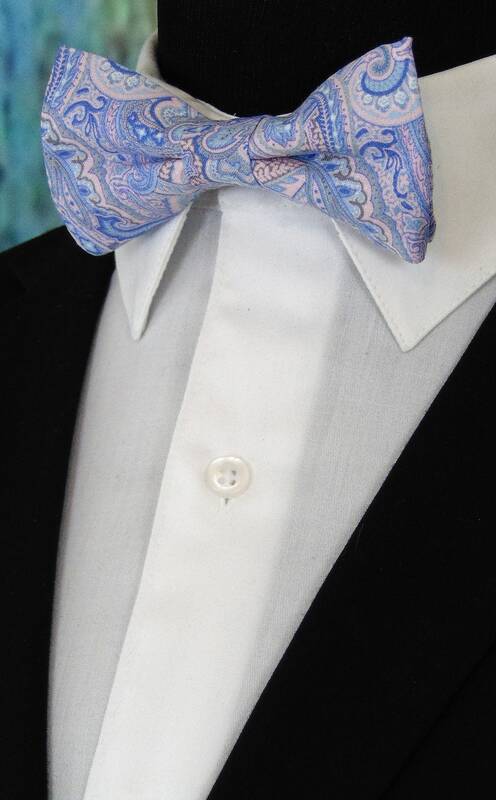 Bowties for Men – Mens Pastel Wedding Bow Tie. Available as a Extra Long Bow Tie. 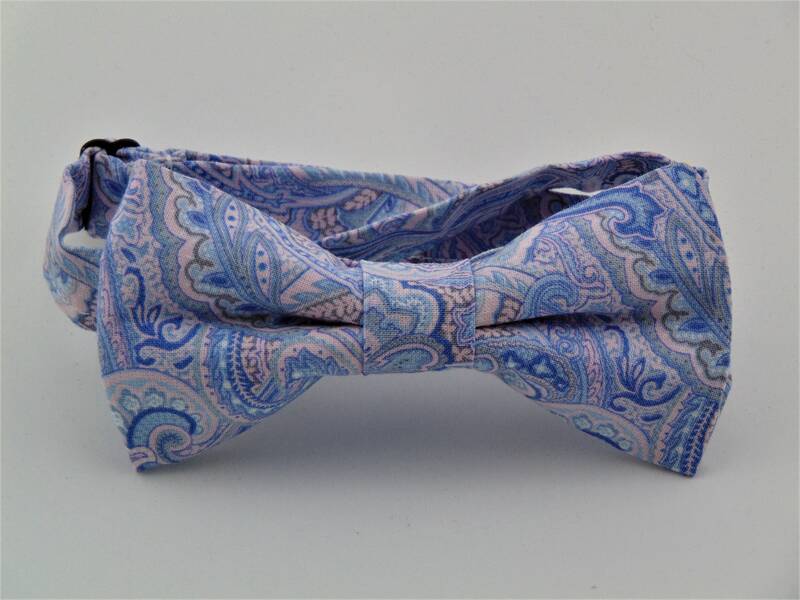 Men's pastel wedding paisley Bow Tie. Features a pastel floral pattern in pastel colors of pinks, blues and lavenders. Available as a extra long Bow Tie. The is a Pretied Bow Tie. Pocket Square available upon request pending available of fabric cost $10.00 Convo me to check availability. Pre tied expertly hand-made from 100% cotton Bow Measures Approximately 4”x 2.25”. You can select your length from (Boy’s 11” – 16”), (Men’s 14” – 18”), (Extra long 16” – 22”). Custom sizes available upon request. Ships within 2 business days. Made in the USA. 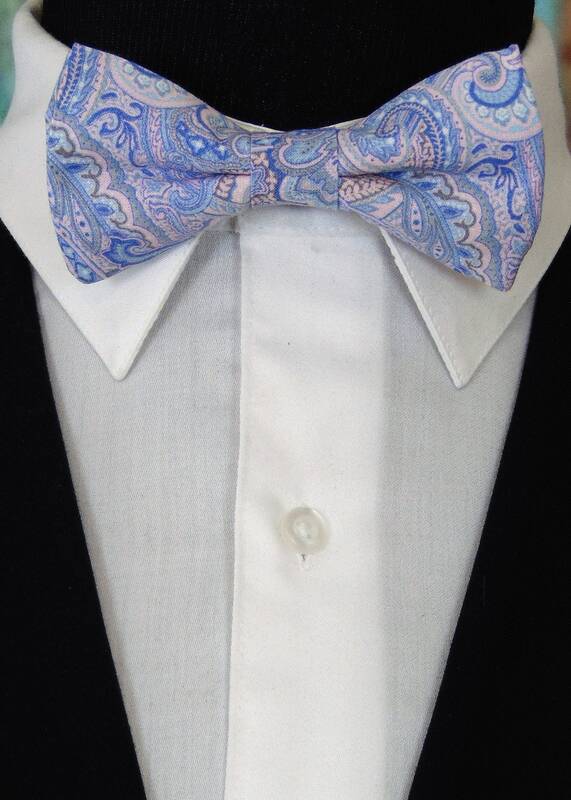 We love custom orders, so you can also go to www.Fabric.com to select from one of their thousands of cotton fabrics and we can make a tie or bow tie for you. These requests will take at least 2 weeks to fulfill. Any Questions abour this tie, custom orders or bulk quantities, simply hit the "Ask a Question" button next to the price and I will get back to you within 24 hours. Thanks for supporting our family-run business!